Now you can switch between making calls and listening to music with ease. 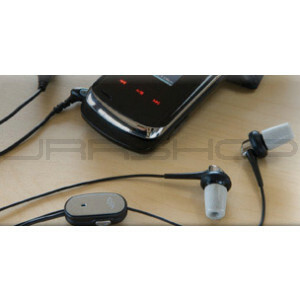 An integrated volume control and microphone along with the included adapters, allow for use with both cell phones and MP3 players. This uniquely designed earset effectively blocks 42 decibels of noise. Immerse yourself in the music and/or conversation! Ultra-soft memory foam tips provide superior comfort and stay in-ear fit.